This fabulous heart shaped trinket box is a gorgeous addition to any vanity table. 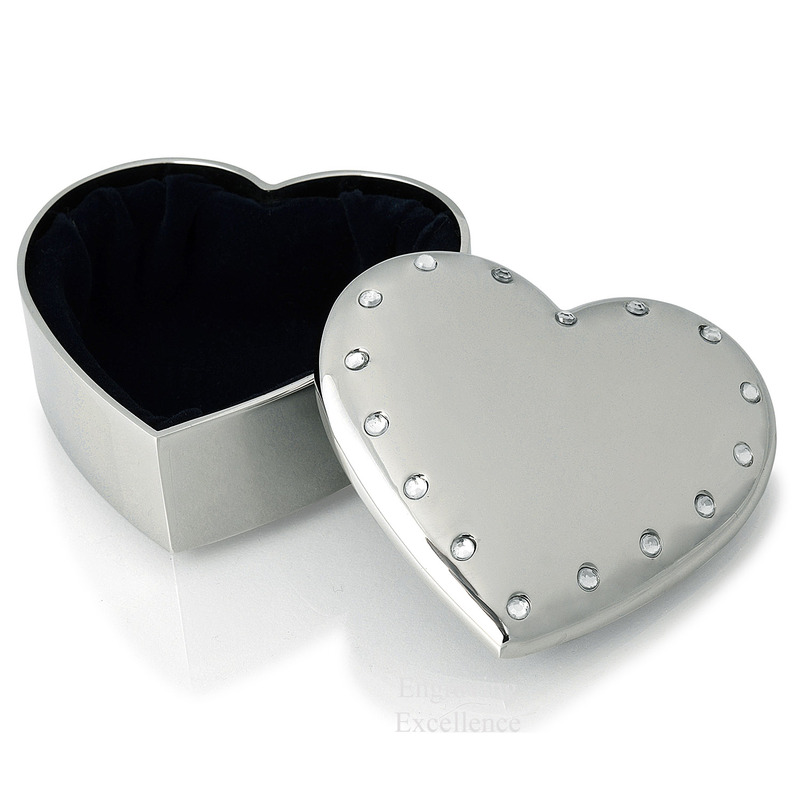 Made from beautifully polished stainless steel with an inlaid crystal edge, this box is lined in luxurious midnight blue velvet and can store a few small jewellery pieces. 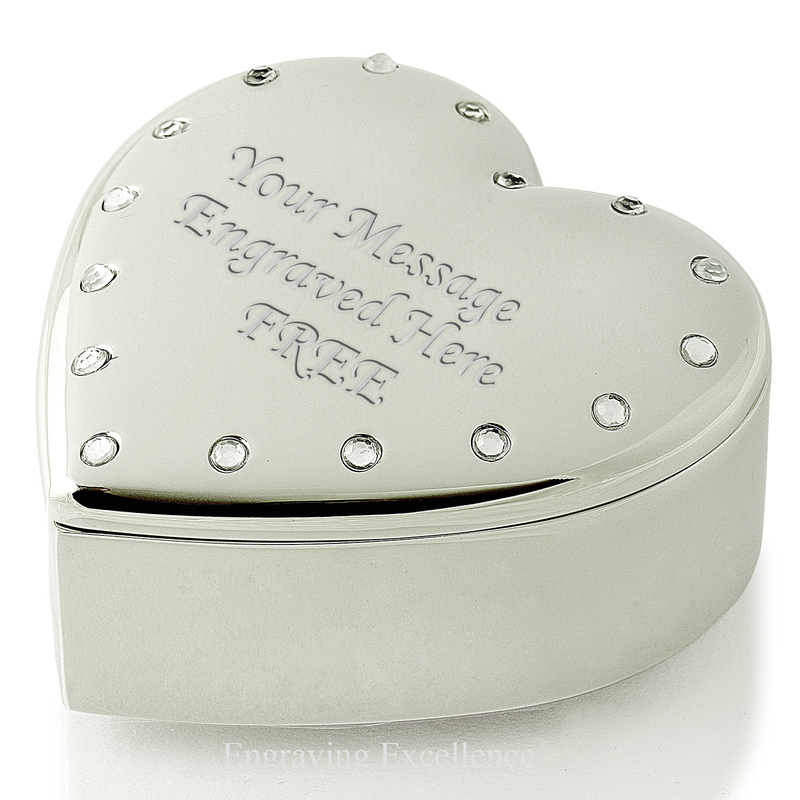 Personalise this item with free engraving; suitable as a birthday or anniversary gift, or even a wedding party favour.